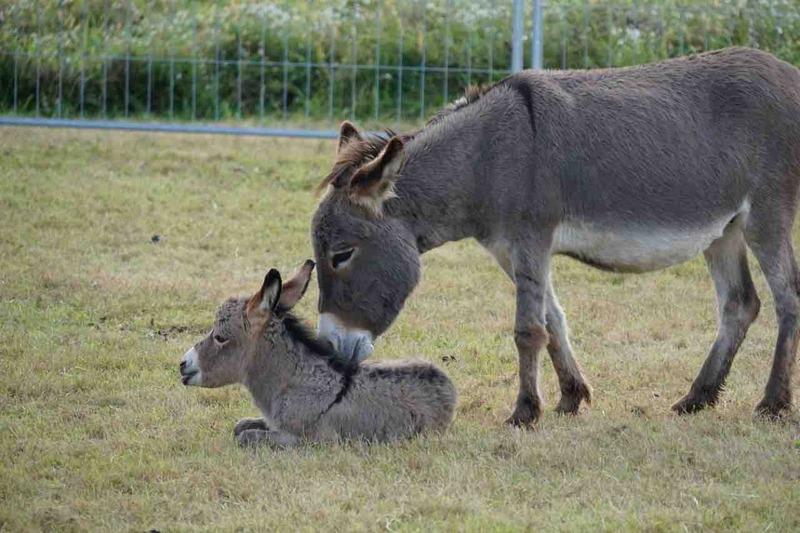 Donkey, donkeys and more donkeys. And this is what the hoards of fans had come to see. I had no idea there were so many aficionados and I was surprised at the crowd size that these long eared mammals had brought out to the great donkey meeting in Wolfegg, Germany. Earlier in the week I had spotted a sign on the side of the road announcing a Grosses Esel Treffen and it had perked my curiosity. So the next Saturday Franz and I drove to the Bauernhaus Museum in the Allgäu-Oberschwaben to enjoy a day with the donkeys and mules. 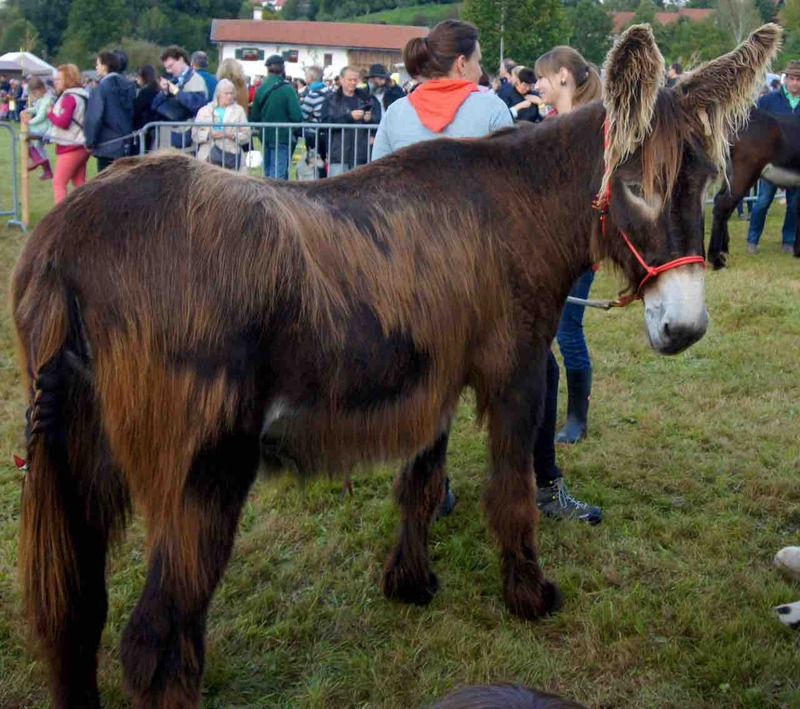 Donkeys of all shapes, sizes, colors, and personalities along with their proud owners attended the weekend show of friendly competition including obstacle course racing and other gymkhana events. The highlight of the show was the much anticipated male and female beauty contests. Who would be Germany’s next top Equidae? We even got to see the largest donkey in the world, the shaggy Poitou with their distinctive cananette coat that hangs in matted long cords resembling dreadlocks. This extraordinary animal the French had bred for war and they were prized for their strength and stamina yet lauded for their docile and friendly manner. Amid the loud braying and obstinate behavior it was a dandy day doting on dear donkeys.